I recently read an OP/ED article entitled “School Test Cheating Rooted in Centralization” which had been composed by Lindsey Burke, who is an Educational Analyst for Heritage Foundation. What a loss that so many teachers had loss their way due to poor vision and values of a school system run amuck. With this said I did a little research from articles available through newspapers, web, etc pertinent to the presuppositions of the OP/ED piece, and also pertinent to an ethical rubric suggested by Marianne Jennings in Seven Signs of Ethical Failure. (1) Pressure to maintain those numbers – Companies with poor ethical cultures,”graduate” to meeting ‘those’ numbers in a zone of perversity; employees start with the number they want to report and work backwards, making things fit using accounting interpretations, and eventually just make it all up to reach the predetermined number. In the Atlanta School System example there was big big pressure to maintain numbers since financial outcomes were linked to improved test performance and test performance had to increase year over year – it will be interesting to look at other school systems and how year over year performance improvement data changes in the wake of the Atlanta system being in the news. How the school system could ever develop a system where they reviewed test results prior to them being graded is an unbelievable case of mis-management and corruption not just in the school system but outside as well. There was certainly a lack of checks and balances present along the “food chain.” Likewise it would be interesting to review the values system and mission of the school system. Centralization did play a role here as the article suggests, but with some caveats as I will propose later. It will be interesting to see who goes to jail and why. (2) Fear and silence – A type of culture where employees see the issue, but remain silent. If they do share concerns, they are terminated or flatlined. 12 principals were shuffled or sacked in the early days of the investigation by then Superintendent Hall. Six principals declined to answer investigators’ questions put forth by investigators. Interim Superintendent Erroll Davis said there was “a culture of fear and intimidation” that needed to be changed. Investigation results were forwarded to the state teacher licensing board, who will discipline educators involved. Davissaid criminal charge prosecution will be up to state officials. 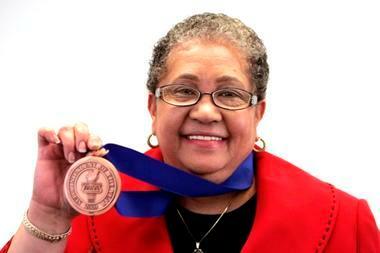 The state report indicates a climate performance-at-all-costs during the tenure of former Superintendent Beverly Hall. Outside organizations are policing and rectifying the cleanup which is a step in the right direction. But with that said the evidence for fear and intimidation is present and strong. I am led to believe by the sheer numbers here that there is no ethics training, no outside mechanism for reporting ethics violations or problems, and certainly no champions that were put forward in other cases that can be lifted up. (3) Young Employees and a bigger-than-life CEO. This excerpt is from a May 24th article by Mary Lou Pickel in the Atlanta Journal Constitution, before the scandal broke which is evidence of larger than life CEO. “Beverly Hall, Atlanta Public Schools superintendent, earned $344,331 last year, the school district said. She is the second-highest paid superintendent in the metro area and runs one of the smallest school districts with 48,696 students. Hall’s compensation includes a $78,115 bonus, a cellphone stipend of $1,200 and a car allowance of $666. In 2008, Hall earned $352,097. That included an $82,000 bonus, $1,200 for the phone, $588 for the car and $5,000 in miscellaneous. Hall’s current compensation is smaller because her bonus decreased by $4,000 and she did not receive the $5,000 in unspecified pay. One huge concern here is tying compensation directly to test score increases without adequate checks and balances – something that appears not to be present here. This reality brings us to the next issue …. (4) Weak board – Boards may be lacking experience, consisting of friends, showing conflicts of interest, not spending enough time. There is certainly no outsider perspective or arms length agreements when you look for corroborating data or evidence. A cozy system existed where the following scenario is possible. From a June 21st article in the Atlanta Journal-Constitution it was documented that …. “Beverly Hall ordered the destruction of investigative documents that detailed ‘systematic’ cheating on standardized tests in the Atlanta Public Schools. APS human resources director Millicent Few is accused of ordering Colinda Howard to destroy records at the direction of superintendent Beverly Hall. Under “Conflict of Interest” section we see that the possible corruption was not just in the office of the superintendent, but may have been in the Atlanta Public School System. (5) Conflict of Interest – Conflicts of interest affect board members’ decisions, whether consciously or not. “Human nature makes you beholden.” There are two ways to handle conflicts of interest. Either don’t do it or disclose it. Interestingly enough this excerpt had been posted on the Atlanta Public School System’s website. It now no longer exists and I could only get the information from a cached version on google! A cozy system for sure. Stay tuned for reforms elsewhere in Atlanta … outside the School System. (6) Innovation like no other – Belief in brilliance and innovation so that the rules of accounting, governance, and even basic economics do not apply to us. Reminiscent of the Enron Scandal where CFO Andy Fastow was named CFO of the year; Beverly Hall was named 2009 Superintendent of the Year by the American Association of School Administrators (AASA)! Hall had been credited with transforming the 102 school system by leading a change effort through a ‘comprehensive’ reform agenda. Perhaps the scandal erupted out of a passion to keep the accolades coming rather than face the true data. Beverly came from the Bronx School System, so look for the possibility of more of the same coming from New York in the days ahead. (7) Goodness in some areas atones for evil in others. The consistent perception of both managers and companies of themselves as good citizens. In regard to this dimension under this scenario we are talking about a school system with teachers who are working with the most at risk, the most needy and the poor. Their perceived philanthropy was recognized by the Gates, Wallace and Broad Foundations. Centralization was an underlying cause which allowed for the failure to occur; cheating certainly wouldn’t have been as widespread without centralization. The opposite can be said in a properly functioning organization; success can also be widespread in a centralized organization that is well run. There are other political fish to fry against centralization (especially at the federal level) if you read the fine print of the Philadelphia Inquirer article. You can have good centralized planning with competent people who have put in place the proper checks and balances from a leader standpoint. Keep in mind that checks and balances are need in decentralized organizations as well if they are to be led well. School Test Cheating Rooted in Centralization, Lindsey Burke. Schools are under pressure to improve multiple-choice and other test results. About 178 Atlanta schoolteachers have been implicated in a highly publicized cheating scandal, involving almost half of the district’s public schools. Allegations of cheating have also surfaced in Philadelphia and other districts across the country. While many have been quick to point a finger at tests, the real culprit is the pressure created by the politicization and centralization of education. Central planning doesn’t work, and education is no exception. As the federal role in education has ballooned over the last 45 years, teachers and administrators have become increasingly focused on the demands that come attached to the money coming from Washington. The $50 billion spent by the Department of Education each year is filtered through well over 100 programs, each with its own reporting requirements, and each with pages upon pages of regulations. This means teachers’ focus is on providing data to the Department of Education, instead of information to parents about their child’s performance in school. The federal role in education has been growing dramatically since 1965, when President Lyndon Johnson passed the Elementary and Secondary Education Act. But the act’s eighth reauthorization – No Child Left Behind – for the first time prescribed how often and in what subjects states would be required to test students. Moreover, NCLB requires that all students be proficient in reading and math by the year 2014, a fast-approaching deadline. And schools are feeling the federal heat. For those who fall short, sanctions will be imposed by the Department of Education. Tests are a good tool when used to provide accountability in the right direction – to parents and taxpayers, not to bureaucrats in Washington. It’s the latter misdirection of accountability that creates the perverse incentives we’re seeing at work in the cheating scandals. For an example of tests and accountability put to proper use, look to Florida. Florida has rigorous state tests tied to a transparent grading system for schools and districts, and it has seen more progress than any other state at increasing academic achievement for all students while narrowing achievement gaps. The Sunshine State’s effective reforms were the result of state-level action under the leadership of Gov. Jeb Bush, not because of NCLB. The reforms succeeded because the state understands that educational accountability should be to parents and taxpayers. Florida’s system, which grades schools and districts on an A-F scale based on performance on the Florida Comprehensive Assessment Test, provides clear information to parents, is well-reported in the media, and puts fire under the feet of local schools. From Atlanta Journal Constitution article on May 24, 2010. “Superintendents retain huge salaries: AJC investigation – Schools deal with cutbacks, but pinch rarely reaches the top” by Mary Lou Pickel. From the Atlanta Constitution Journal June 21, 2011. Article entitled “Ex-APS official: Hall ordered destruction of documents tied to cheating” by Alan Judd and Heather Vogell. From the Christian Science Monitor July 5, 2011. Article entitled “America‘s biggest teacher and principal cheating scandal unfolds in Atlanta” by Patrik Jonnson. This is the full text of the editorial article in the Philadelphia Inquirer on July 30, 2011 entitled “Test Cheating Rooted in Centralization.” By Lindsey Burke of the Heritage Foundation.